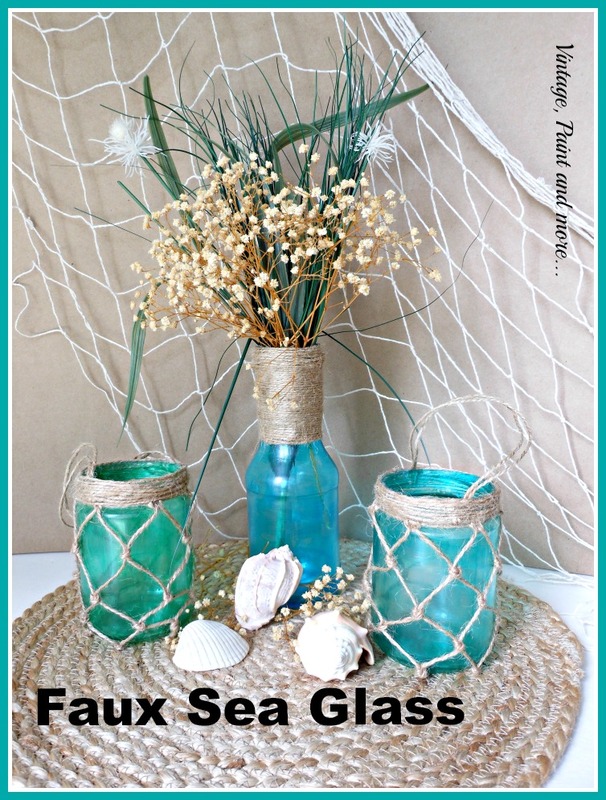 If you have followed my blog for very long I know you have seen some of my previous faux sea glass projects. 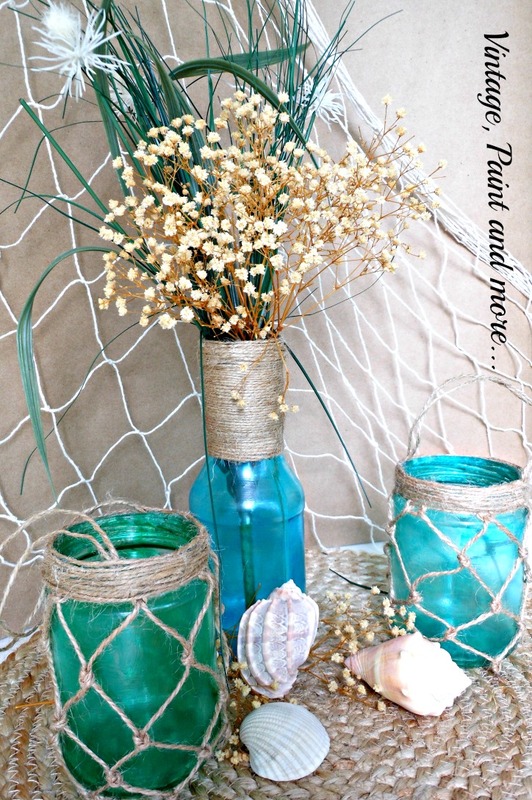 I love making these because you can customize them to your decor just by mixing colors and you can use any old clear glass object - recycled, thrifted or new. Whatever strikes your fancy at the time. I made these last year from thrifted vases and use them all the time. I just love the color and how the light bounces off them. This time I had a little helper - she loves when I pull out the paint brushes and paints and I enjoy working with her. She did a great job on this little project. It's so simple we were able to finish it in one afternoon - counting the drying time. You only need a couple of products to pull this one off. 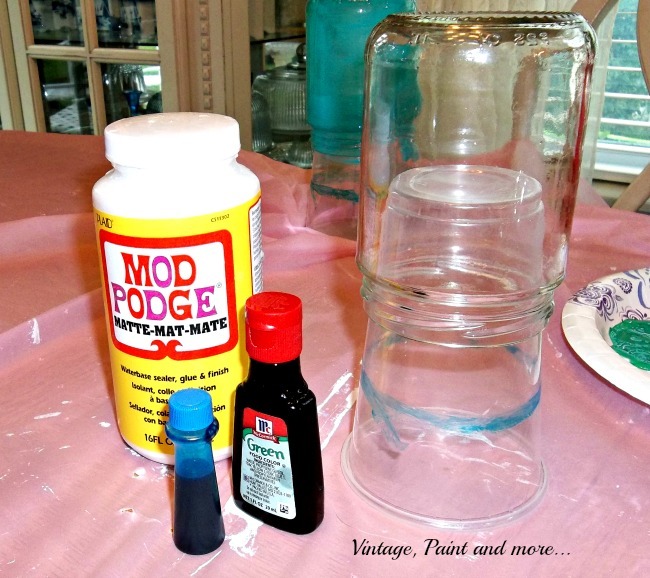 A jar of Mod Podge - I used the regular matte finish, a couple bottles of food coloring and a paper or plastic cup. Oh, of course, your object to be painted. 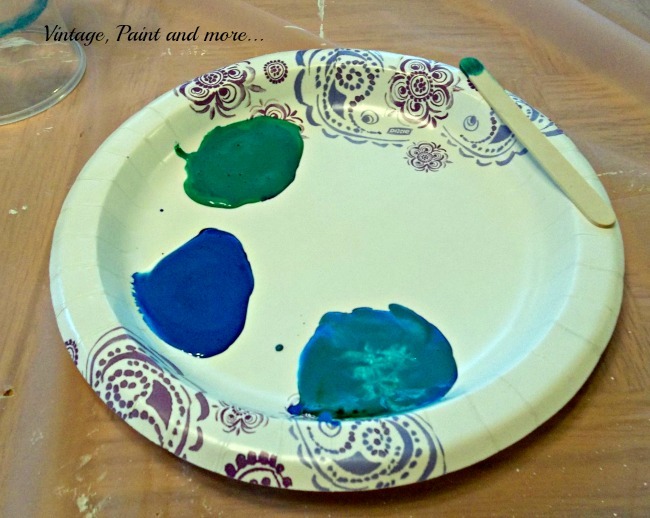 Just put about a teaspoon of Mod Podge in a paper plate and start adding food coloring - one drop at a time - and mixing until you get the color you desire. Above you can see I have one that is blue that took several drops to make that hue, one that is about 3 drops of green with 1 drop of blue added and one that is about 3 drops of blue with one drop of green added. You may have to play with these a little to come up with your desired color. 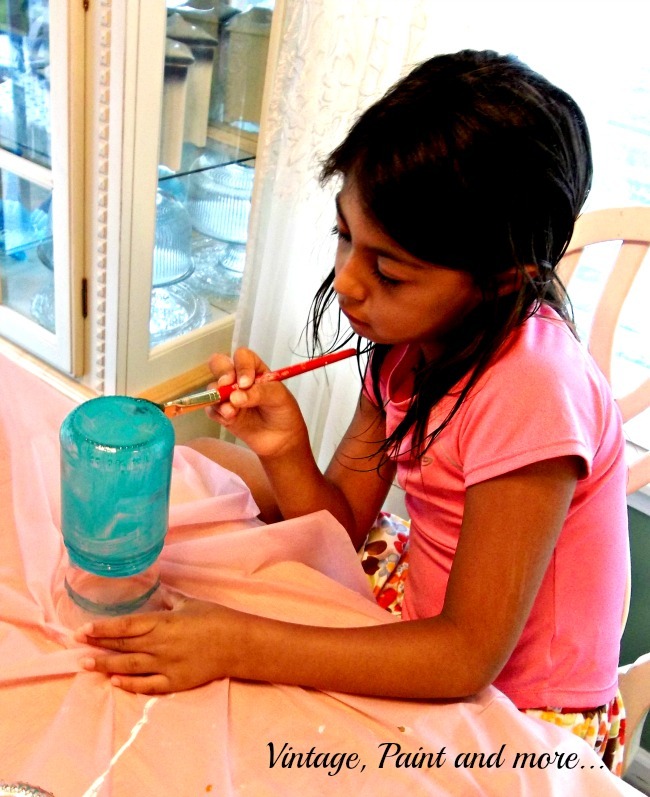 Miss A is painting jars I had placed on plastic cups turned upside down. This gives her a nice stable base to help her paint. She painted three jars with the three colors and also painted some glass bowls we will be sharing later on. It only took those three little dollops of paint. This stuff really goes a long way. clumpy and not dry as smoothly. Here is the finished product. After they dried I did a sort of macrame net around the jars with some jute. 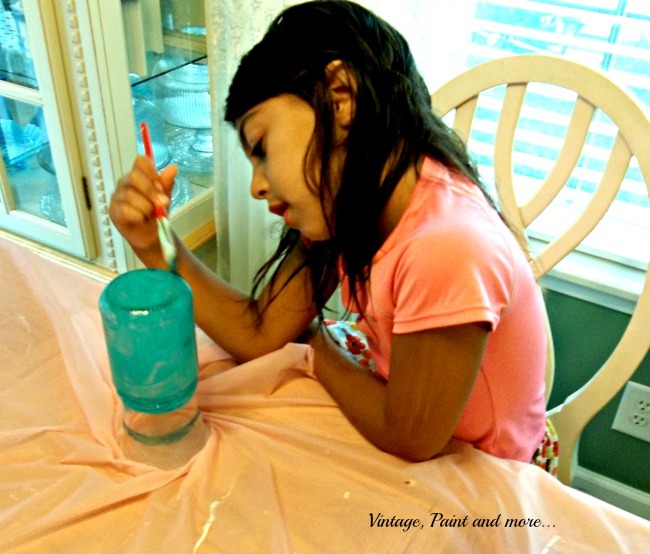 This is a very simple process and Lucy at Craftberry Bush has a great tutorial on how to do it. I then wrapped the mouth of the jars with the jute and added a jute handle. The vase is a cappuccino bottle that is painted and then wrapped with jute. This little vignette sits on my dining room table on top of a round grass place mat. I picked them up at Good Will - 4 for $2. Not a bad deal especially since they are so trendy right now. 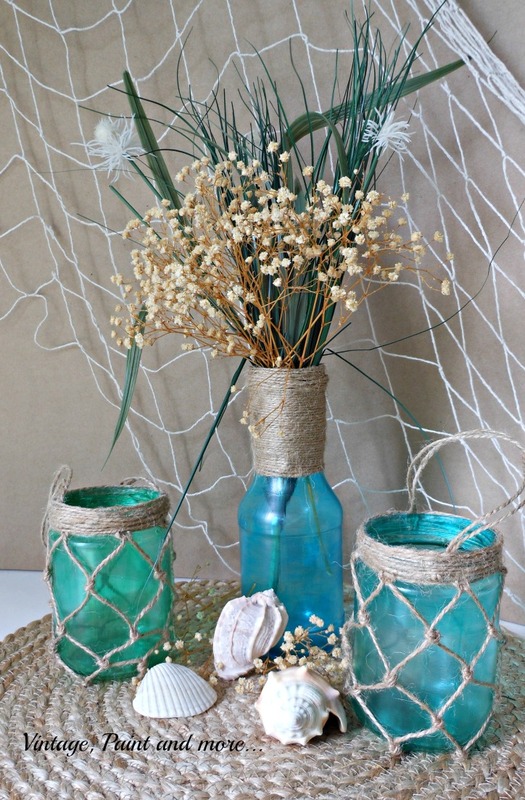 I then added some gypsum and some faux sea grass to the vase and a few shells. Now, I have a cute little beach inspired centerpiece. These are not dishwasher safe and I would only wipe them with a damp cloth if necessary. This is not water proof and will wash off if rubbed hard with a wet clot. What have you upcycled/recycled lately? I love to hear from you so tell me about it in the comments below. I answer all comments through email. I will be linking up at the parties listed on the "I Party Page" above. 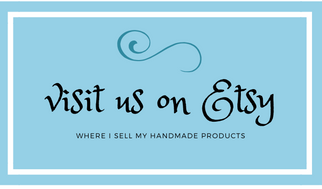 Please visit them and check out all the great inspiration found there. Beautiful job Cathy! I love how it turned out. Oh wow how easy is that! I never knew mod podge and food coloring could do that. Thank so much for sharing it!! What a great project... looks like Miss A is loving it... what a great way to spend some good quality time together...Love the vignette.... hope you are having a great weekend! 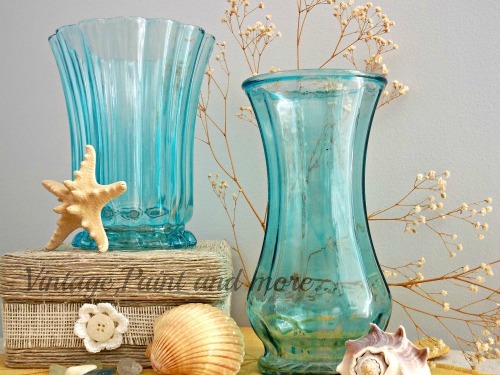 Your table vignette is very pretty, love the colors and shells on mat. You got a great deal on those placemats. I only go to Goodwill on Wed. for senior discount. I don't find as much as I used to but think maybe good stuff goes in cycles. Last year I was collecting silver plate bowls, plates, whatever could find that was decent. I rotate my collections or things to put out in waves, depending on my mood, the season or what the collection might be. We have a shelved nook in one corner of our living room I put things on. Corner had a cheapy shelf cupboard in it but hubs took it out, installed sturdier nicer looking shelves. Looks like your helper was enjoying herself painting as well as being photographed. I have one granddaughter that likes to craft at 14. Once in while she gets to come over to "play" with me. We have good time. She loves to make jewelry of course. Last year I colored several older mason/kerr jars to look like the blue mason jars with ModPodge and food coloring. Got food coloring at $tree. Do you have $trees where you live? All my jars I colored are sitting out in box on back deck, waiting for me to use them for something. Would love to try the jute string on them to look like fishermen's netting. Will have to look into that tutorial you mentioned. I have a beachy/cottage look going in living room after we painted our walls finally. Luckily I had all I needed in my "stuff" to make all the art I wanted for walls. Used beachy things on gallery wall as well as other things like some family photos, signs I'd made, shells on painted canvases. love our living room now. Before we painted didn't like it at all. 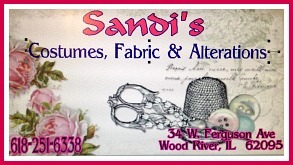 We have single wide 16x80 mfg. home on 1/2 acre out in rural area few miles west of Grand Junction, CO. Not our dream house but trying to fix it up to make us happy. Painting walls in mfg home is not like painting walls in stick built home, at least not older mfg homes. Now they use drywall in rooms instead of panels with vinyl covering, UGH! We were 2nd. owner so what's on walls is not my choice. Real estate here is quite expensive for SS incomes so we bought what we could afford. At least we're out of town with a gorgeous view from our front porch and back deck, it's quite quiet out here also. We have houses around us but not on top of each other. Awesome! I need to try this. I had no idea you could just add food coloring to modge podge. I hope you will join us tomorrow for our linky party. OMG, this would be perfect for the red brick mantel in my new home! Thank you for sharing and this is getting pinned ASAP. This is beautiful and brilliant! It's amazing what I learn on the Internet. :) I think I now have this pinned to three different boards! Thank you for sharing at Thank Goodness It's Thursday, Cathy. These look like the real deal Cathy!. Would never guess that they are faux! Thanks for sharing with SYC.